Sharks just stole that game. Vegas the better team, Jones the better player. Hey Lipps then since he's on his head one thru the 5 hole should win it for the Knights. 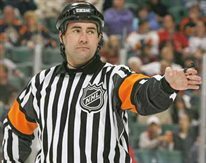 Interesting that a linesmen/mod started this political thread in the NHL section. Move the thread. Even though it involves the Flyers, it's not relevant to the game of hockey. And Lippsman should have known that it would turn into political banter. Banter I don't want to read here in the NHL forum. Well...I have Vegas for the series so I hope they can put it away for me tonight banking 2 units. This country has become a country with no balls. All organizations and companies do now is react instantaneously to any possible negative attention. We are all intelligent enough to realize that racism is a horrible thing. However...the fact is that this country evolved from a society where racism and slavery was not only prevalent but legal. There is no way for society to change on a dime. Society evolves over time. In my family...my grandmother was an absolute racist because that was the way she was brought up in the early 1900s. My parents were more accepting of racial differences than she was and of course my family is more accepting than my parents were. My point is we evolve as a society. To try and rewrite history by saying what someone did in the 1930s or 1950s is applicable to 2019 is absolutely absurd. At some point...some courageous organization has to stand up and say..." While we realize that some of Kate Smith's songs were racist oriented...the fact is that it is part of our history as a society and to cover that up is more of a disgrace than to learn from this and change". Recently...the Boston Red Sox changed the name of Yawkey Way because the former owner of the Red Sox was considered racist and they were the last MLB team to field a black ballplayer. Of course Tom Yawkey was also very instrumental in building the Jimmy Fund...one of the most powerful charities fighting cancer for all people regardless of skin color. Let's learn from history not try to ignore it and we will become a better society. Sorry for the rant but it irritates me. if they were racist, you still stand by her??? I don't know if she was racist, I never spoke to her. Did the people that complained about the songs know her or even speak to her ? Have any more info than the songs ? Here the home team wins at a 61% rate to close things out. So at -170, Vegas would have to win at 63% to just break even so no value there, but the Leafs just being a -120 fave is huge value !!! That is true, all the time now some people are putting 2019 values on things that happened 60 or more years ago. It was what was the norm then, but that doesn't make it right. If those same people were around today they would be different as they were raised in a different time. The Flyers announced they will no longer play Smith's song at Wells Fargo Center and have also covered up a statue of the World War II-era outside the arena. The Daily News' original report indicated that the Yankees replaced Smith's version of the patriotic song after they "were made aware of Smith's history of potential racism." Among the evidence are her songs "Pickaninny Heaven," which was directed at "colored children," and "That's Why Darkies Were Born," which was recorded in 1939 as satire but included lyrics about "darkies" being born "to pick the cotton." The Flyers have echoed the Yankees' reported concerns with Smith's messages. "We have recently become aware that several songs performed by Kate Smith contain offensive lyrics that do not reflect our values as an organization," the team said, per CBS Philly. "As we continue to look into this serious matter, we are removing Kate Smith's recording of 'God Bless America' from our library and covering up the statue that stands outside of our arena." Although Smith died in 1986, she's long had a unique connection with the Flyers. The team began playing her recorded version of "God Bless America" in 1969, and the singer performed the song at a game several years later. That lead to a decades-long tradition in which Philadelphia would play Smith's version of the song before important games. The singer was honored with a statue in 1987, and up until 2016, the Flyers had paired video of Smith singing "God Bless America" with Lauren Hart's "The Star-Spangled Banner." The Blues close things out, although they made it more interesting than it should of been. Mr_ Armchair hit both wagers, Weebs and Culls both on the positive side of things. Oh BTW, the goaltender was arrested for punching a woman after the game. Jeez. Anyway, Hurricanes cone back here vs Caps? Caps looking good!